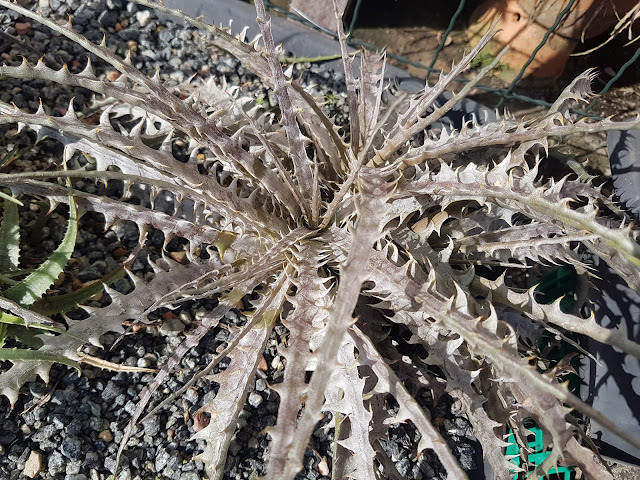 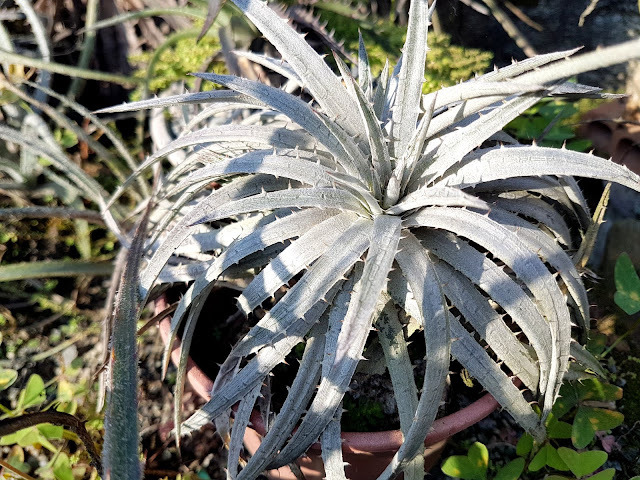 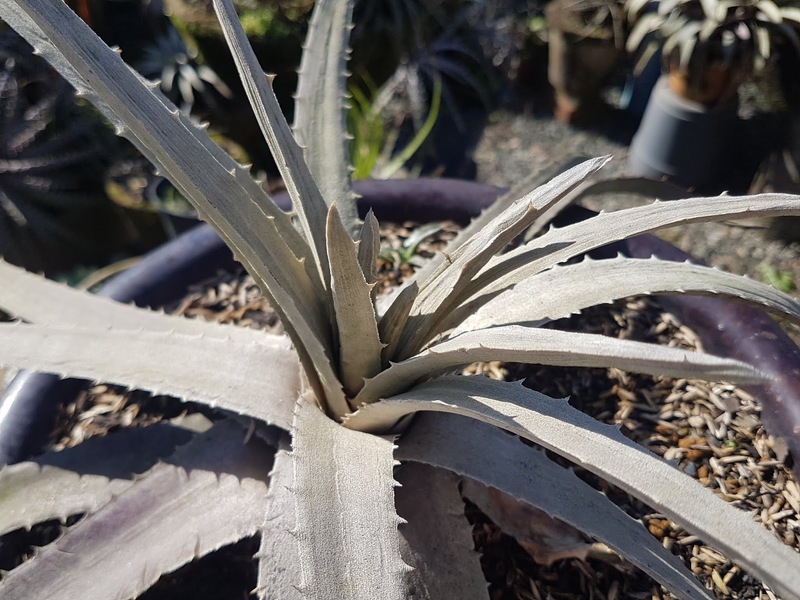 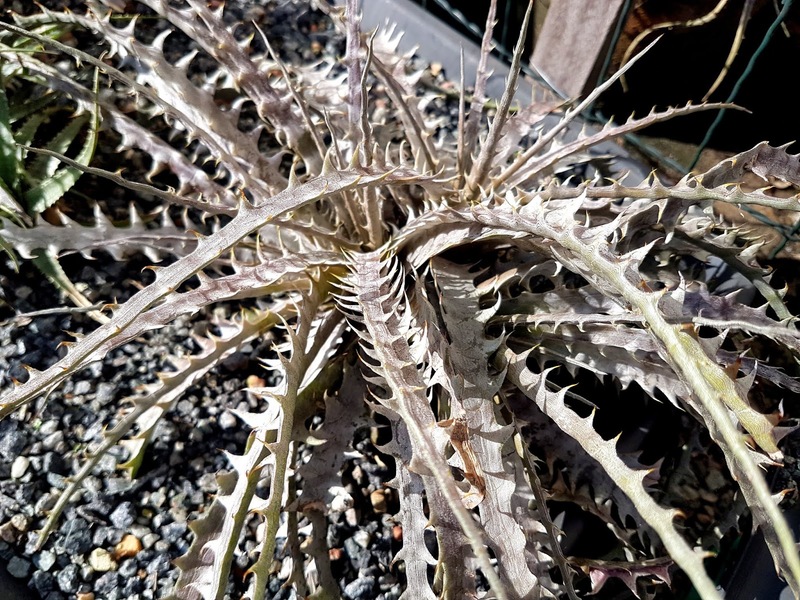 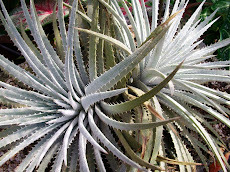 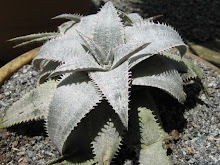 Dyckia neo-jonesiana, nothing is whiter than it. 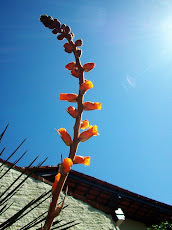 This Vale do Itajaí (Santa Catarina) non described lady is blooming by the very first time under cultivation. 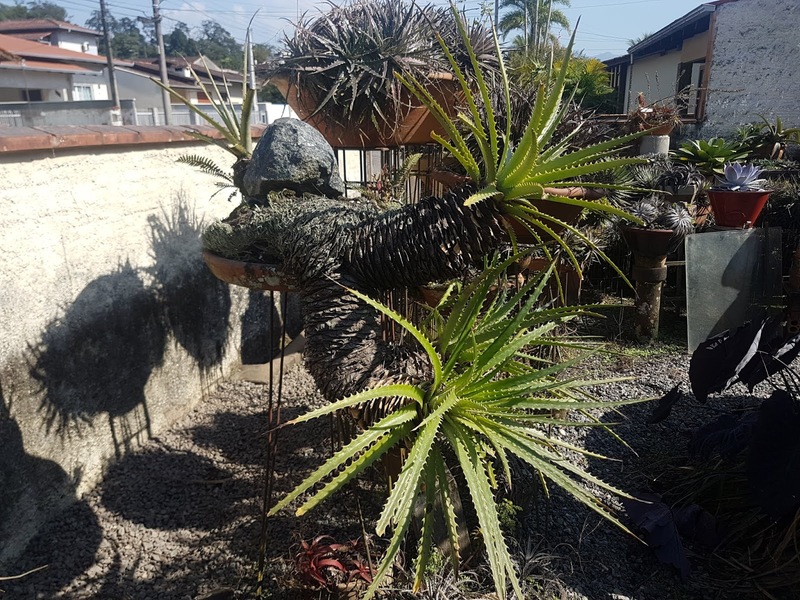 It grows and very very steep area on the North face of the downtown Apiúna-SC Dom Bosco Hill (in fact a huge rock, a granite monolithic one). We do not managed to get to the flowering plants due to the very steep granitic wall they live on. 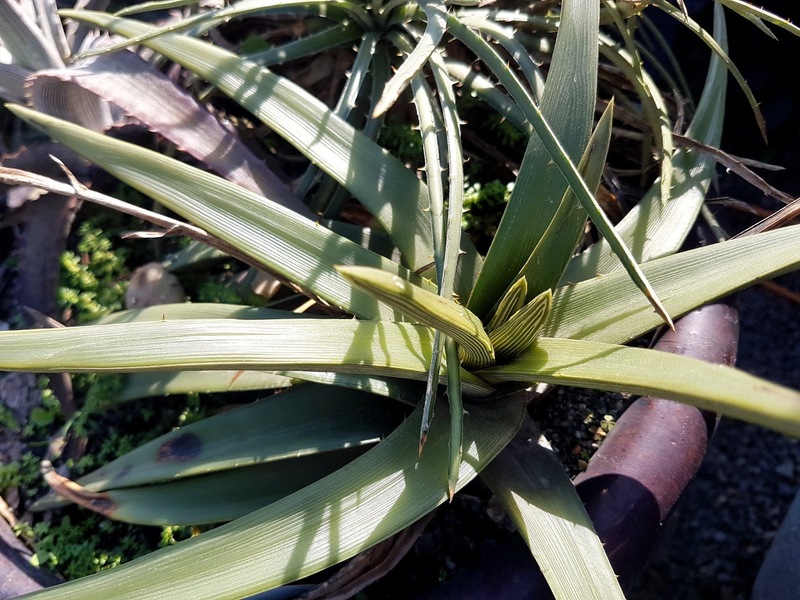 We know the flowers are pretty yellow and well opened. 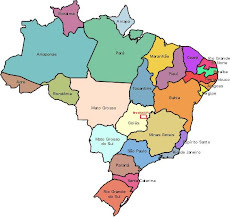 - Itajaí River is the biggest river in Santa Catarina and Vale do Itajaí is Itajaí Valley a very rich and full of small town area in the central area of Santa Catarina. 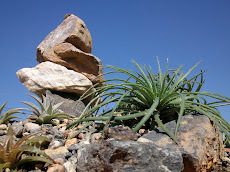 -Morro dom Bosco is a huge solitary granite rock within this small town. 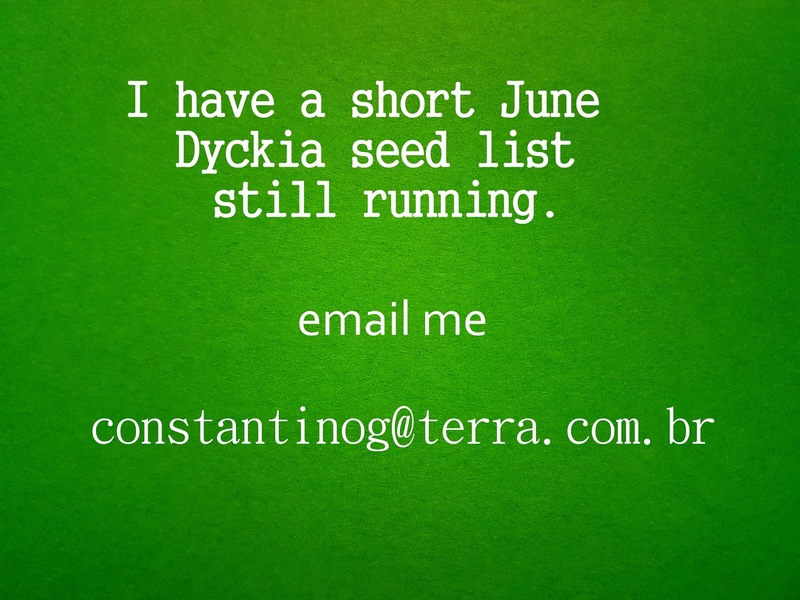 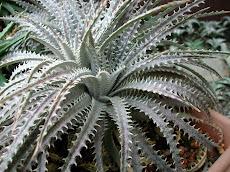 Yes, the tiniest Dyckia species on Earth just got a valid name! 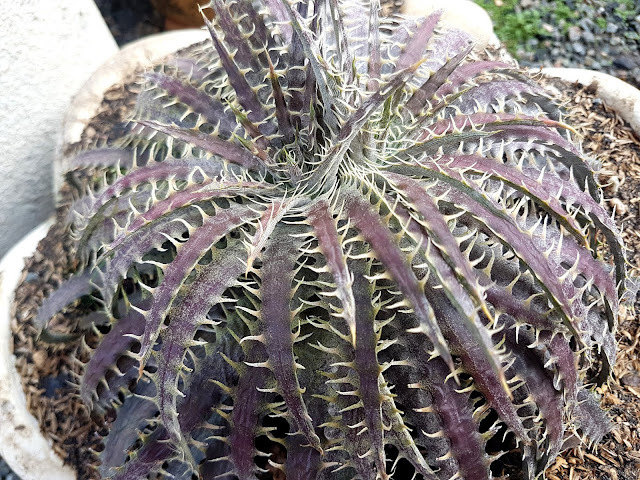 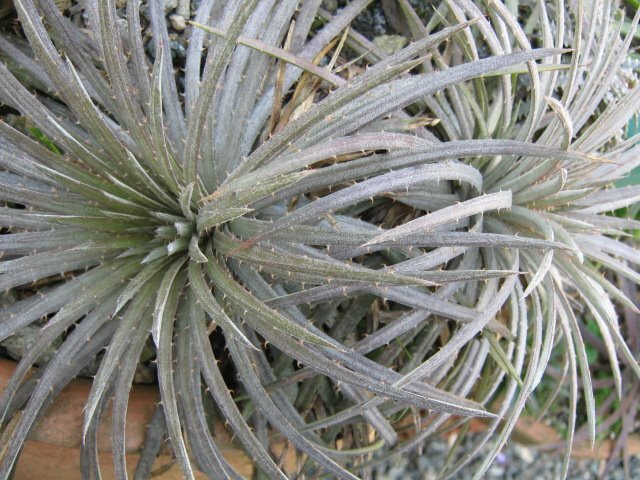 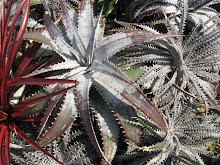 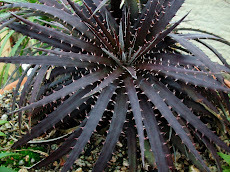 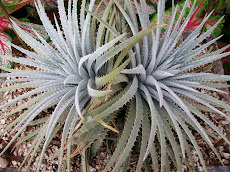 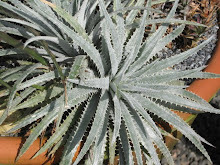 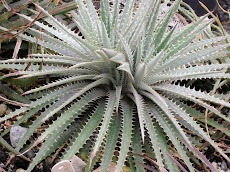 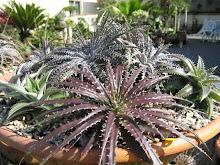 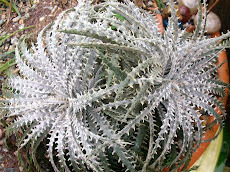 Dyckia pampeana is just described!! 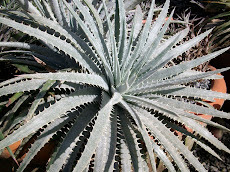 The author is the young Brazilian Botanist HENRIQUE MALLMAN BÜNECKER. 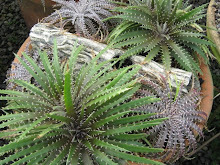 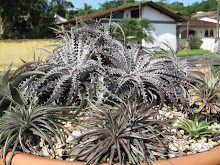 Henrique, a friend of mine, is a brilliant Brazilian young Gaucho botanist as Dyckia pampeana is also. 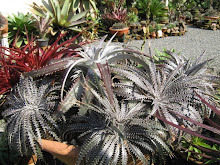 Pampa is a Southernmost Brazilian field which vegetation is getting well known bnow and Dyckia pampeana makes part of it. 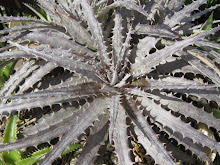 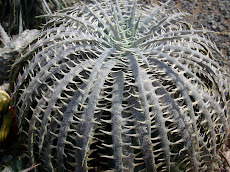 Dyckia pampeana produces many, many stolons and is a ground cover. 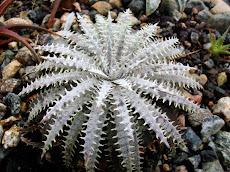 Sheep breeding almost vanished Dyckia pampeana off the Earth. 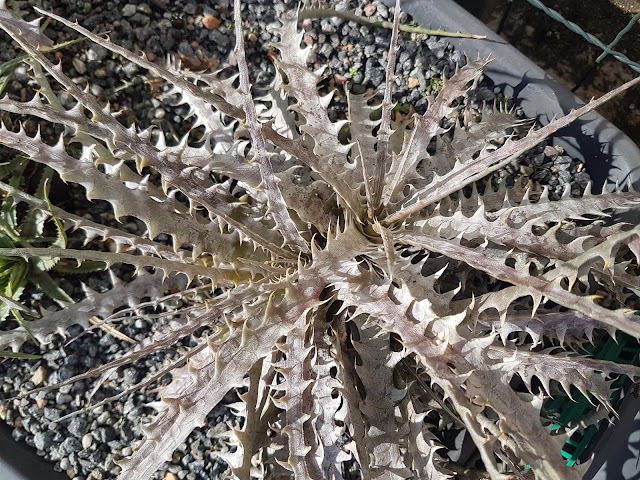 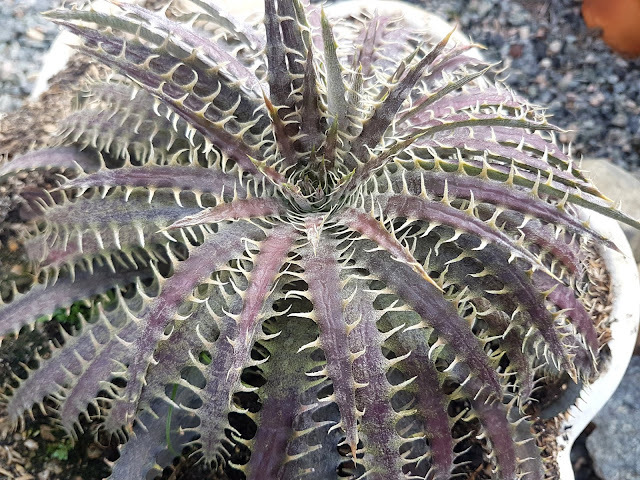 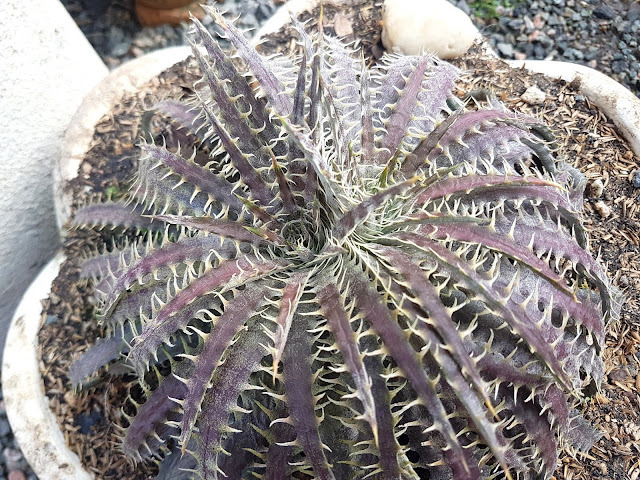 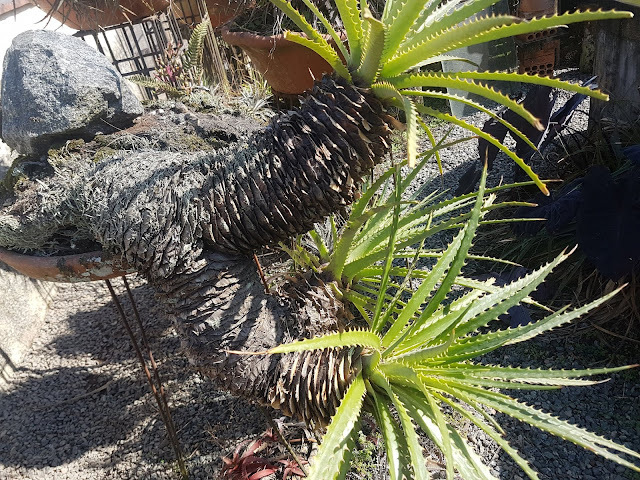 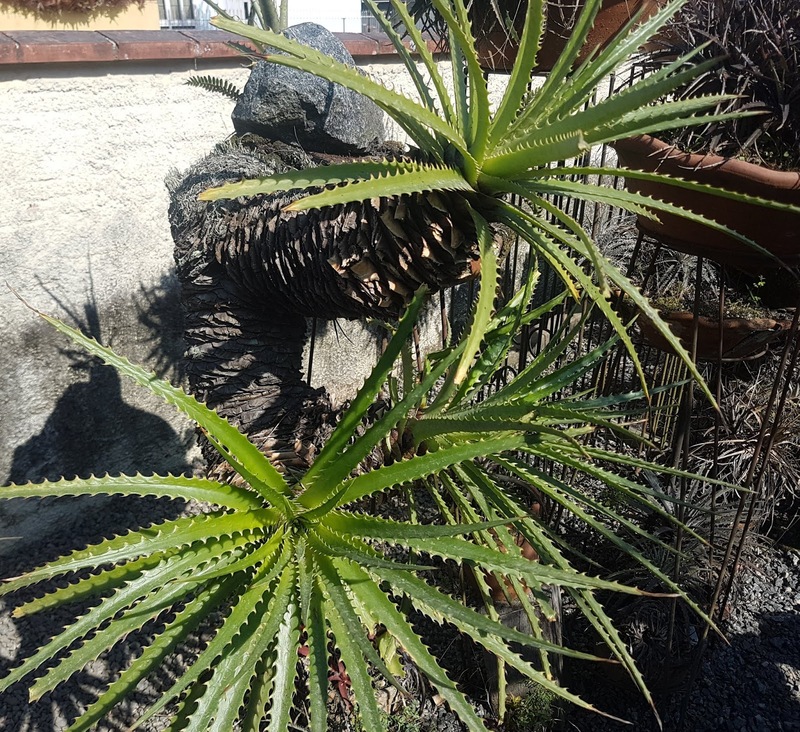 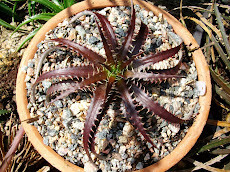 It is a threatened species and today can be found in Japan thanks to some very very very enthusiast Dyckia lovers. 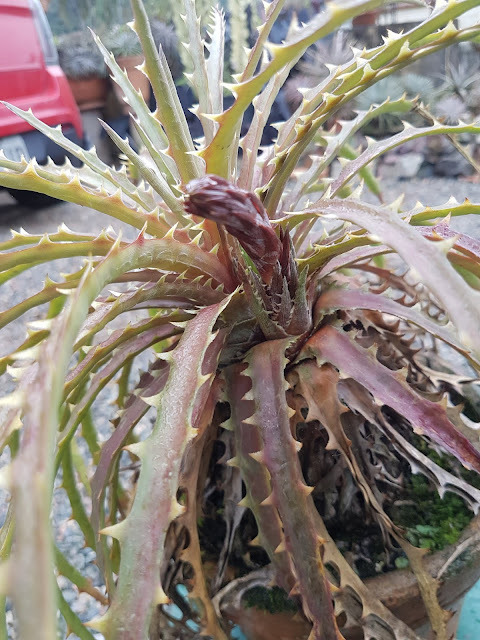 I am still to see its bloom. This is a brand new plant. 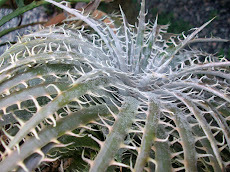 Dyckia delicada is found 200km in a straight line from this one. 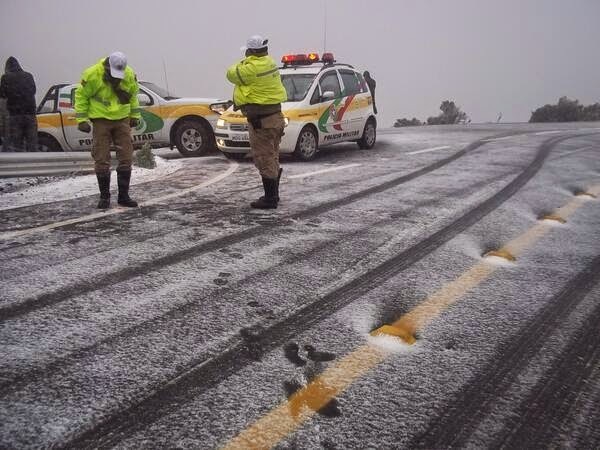 They are some 300km apart by road. 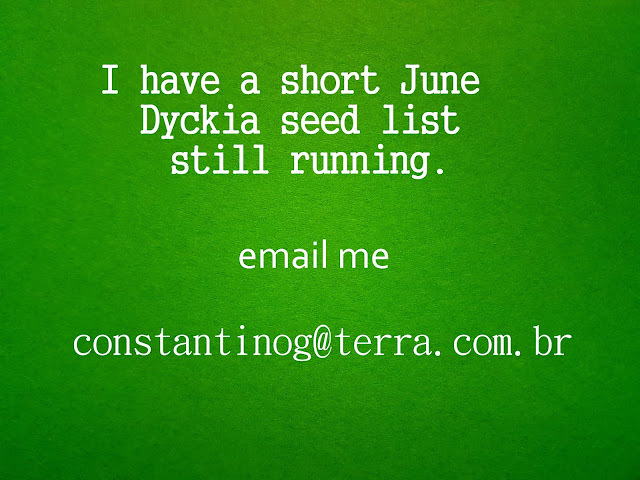 Also I was told there are many many delicata varieties there. 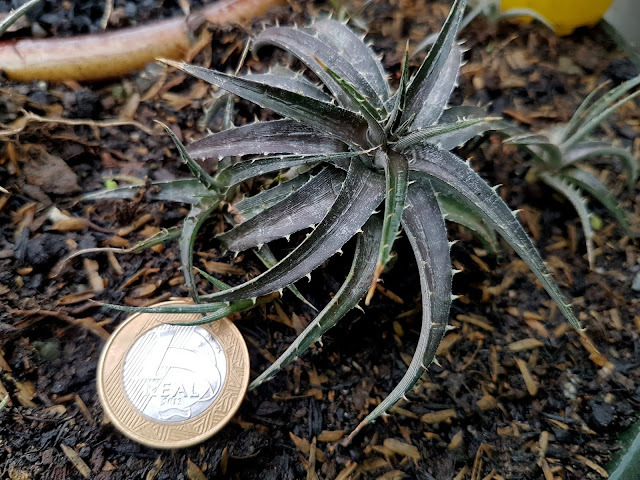 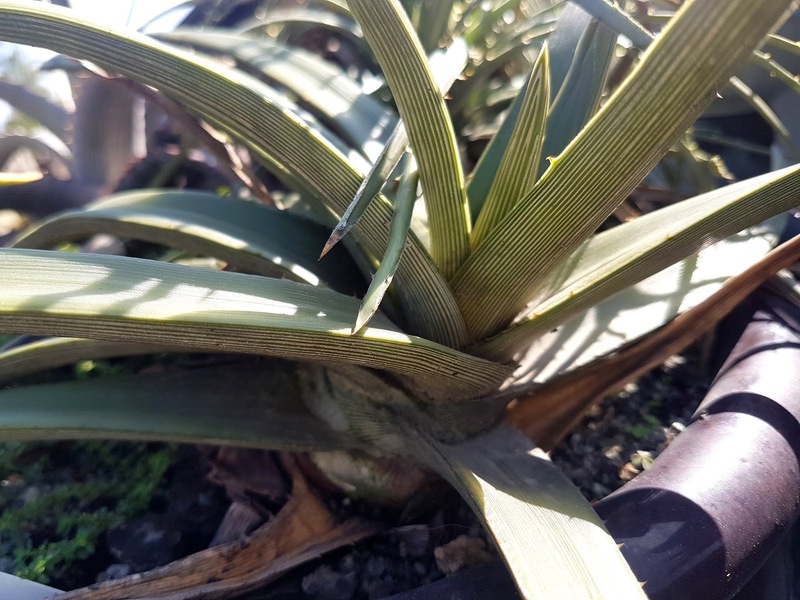 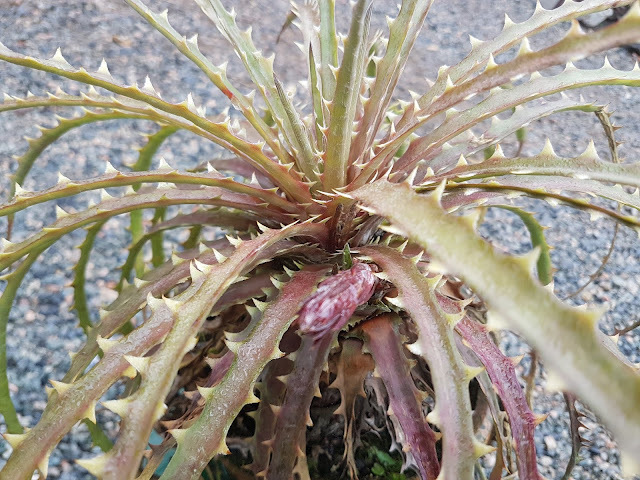 Something close to what happens to Dyckia fosteriana in Sengés Paraná. 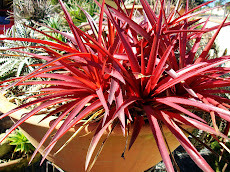 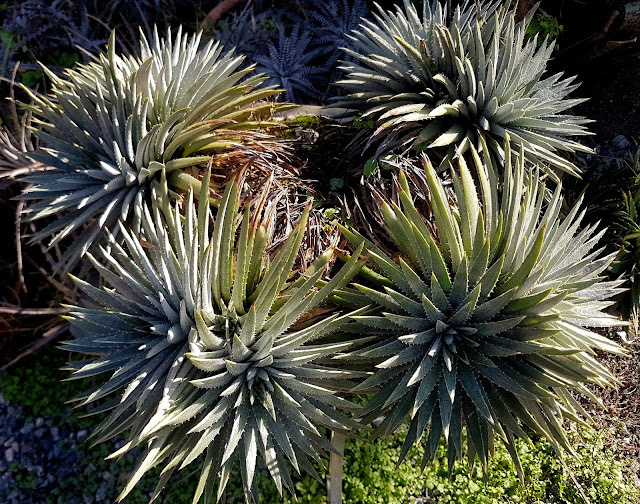 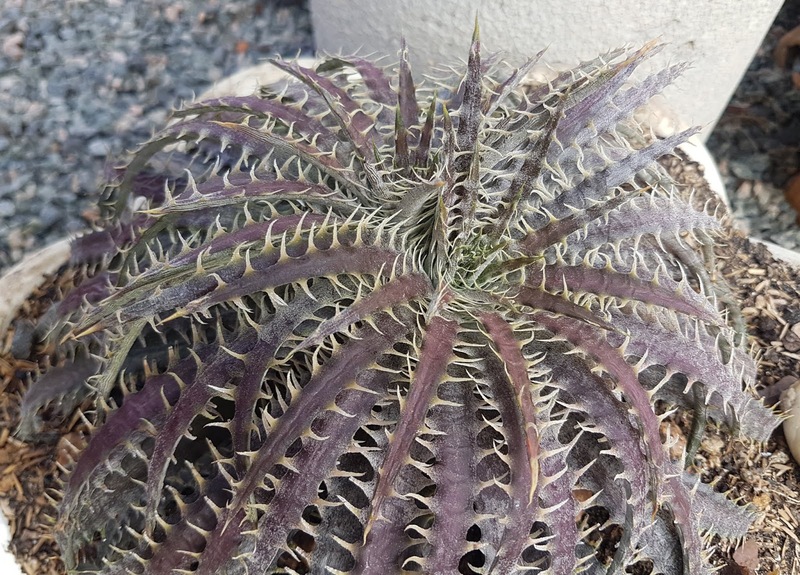 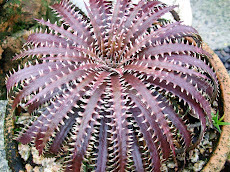 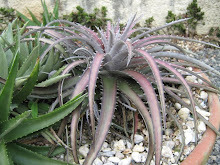 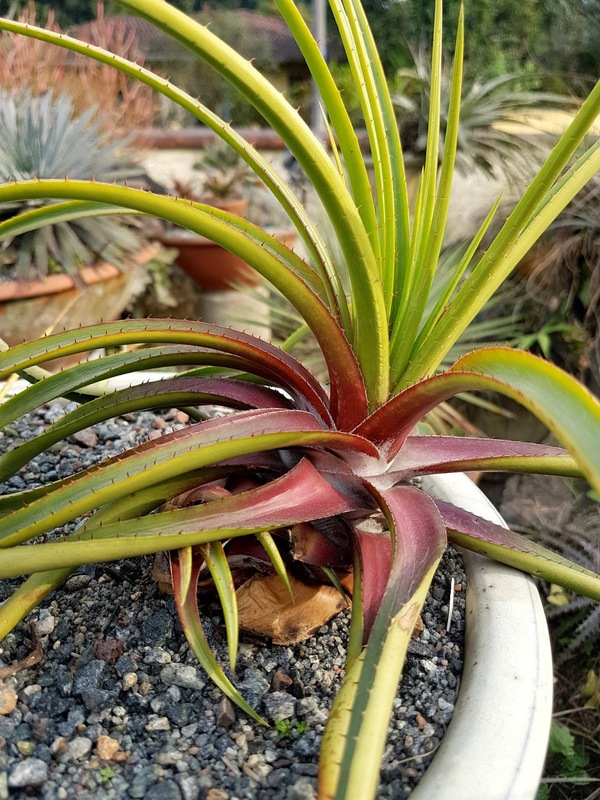 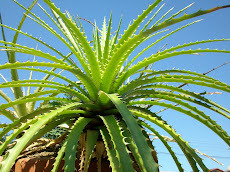 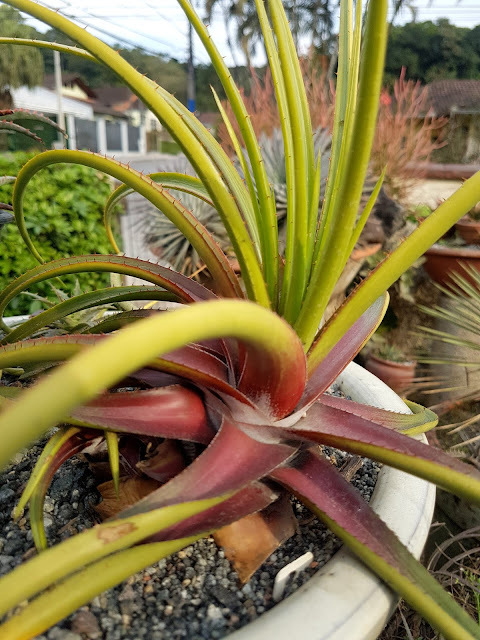 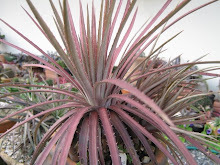 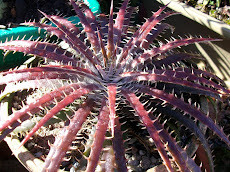 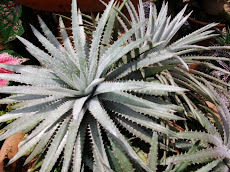 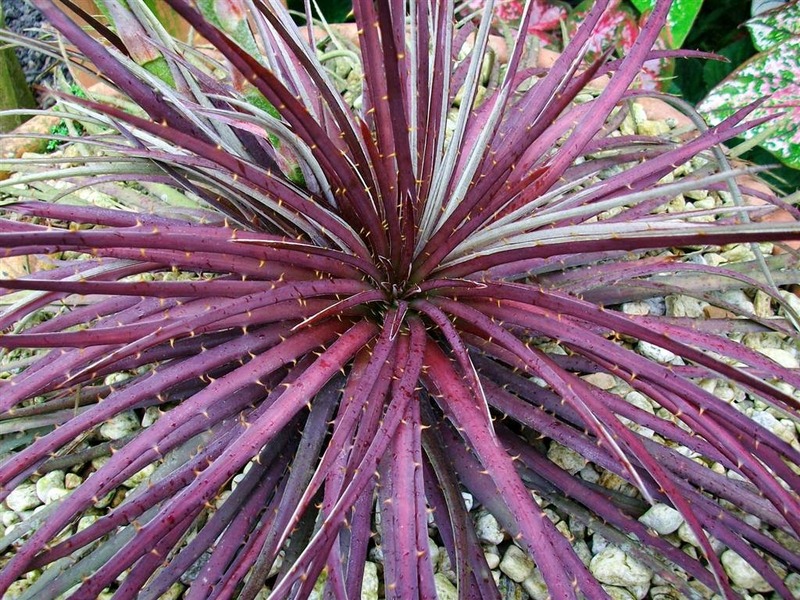 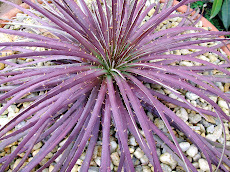 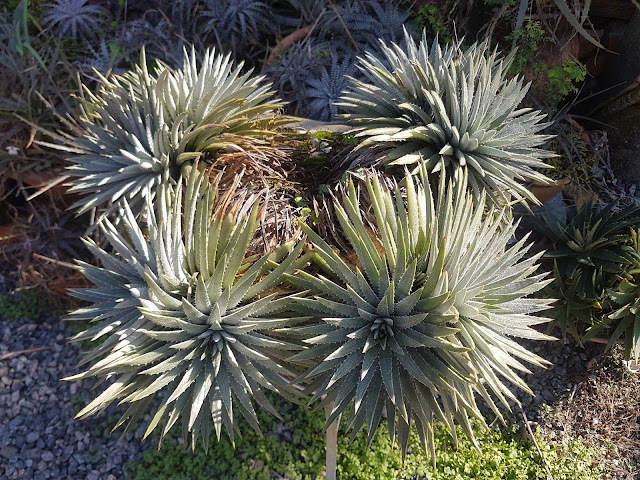 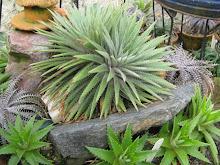 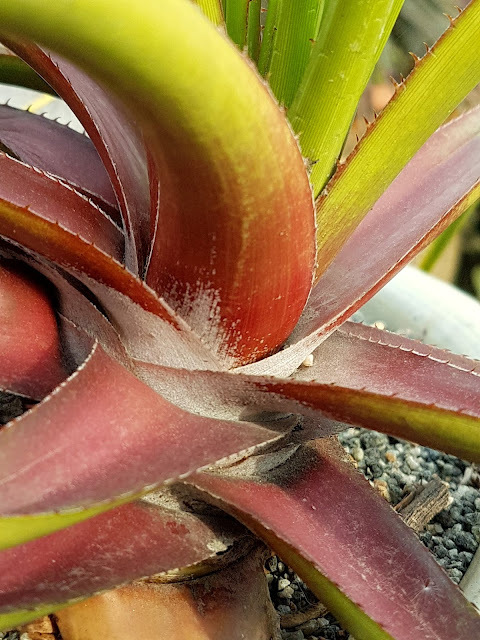 This is a compact form with larger more proeminent spines much more succulent leaves. Dyckia encholirioides is the easternmost South Brazilian one. 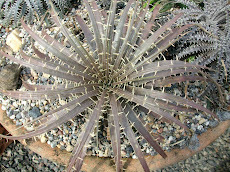 It is a sand dweller and grows from Santa Catarina to South in São Paulo littoral. 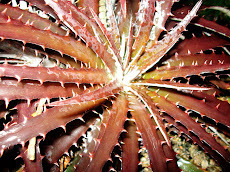 It grows listening to the come and going of the Atlantic waves. 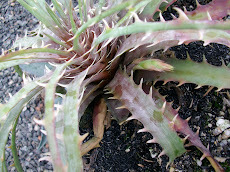 This one was found being tidal trawler. 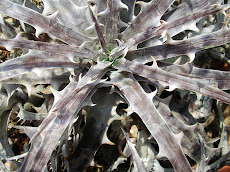 A tempest had disrupted the sand cliff it was growing on. 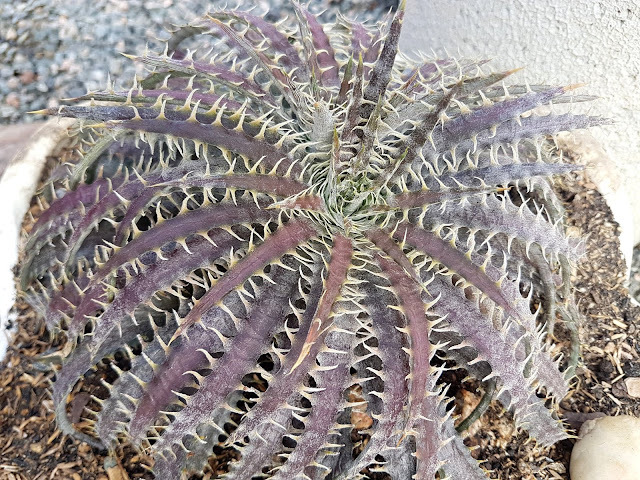 I think this is a centennial old plant. 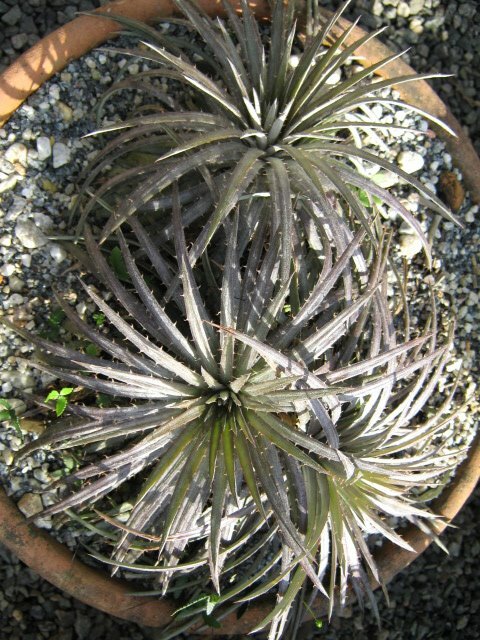 flowers are suphurous yellow. 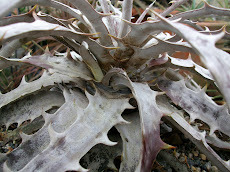 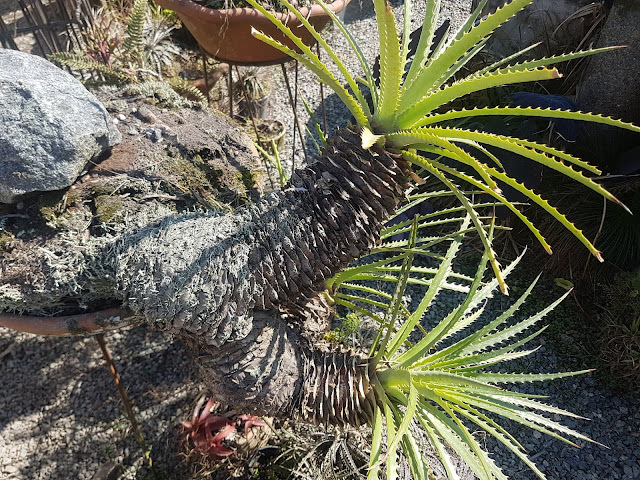 The variety spinosissima is found only on a tiny part of the North Santa Catarina littoral and it bears many more spines than the type species form which also grows close by, some mare meters from it. 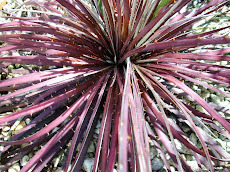 ...and capture my mind. 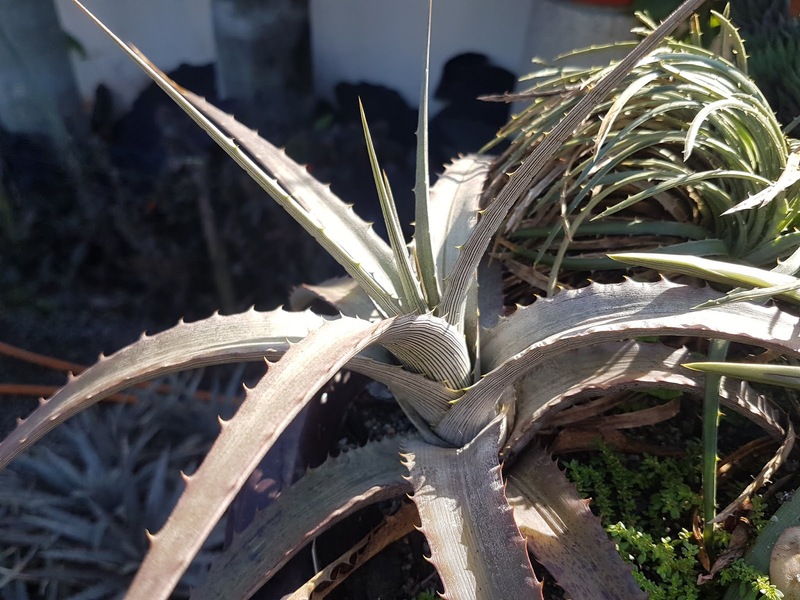 This is a hybrid I made, a very very special one. 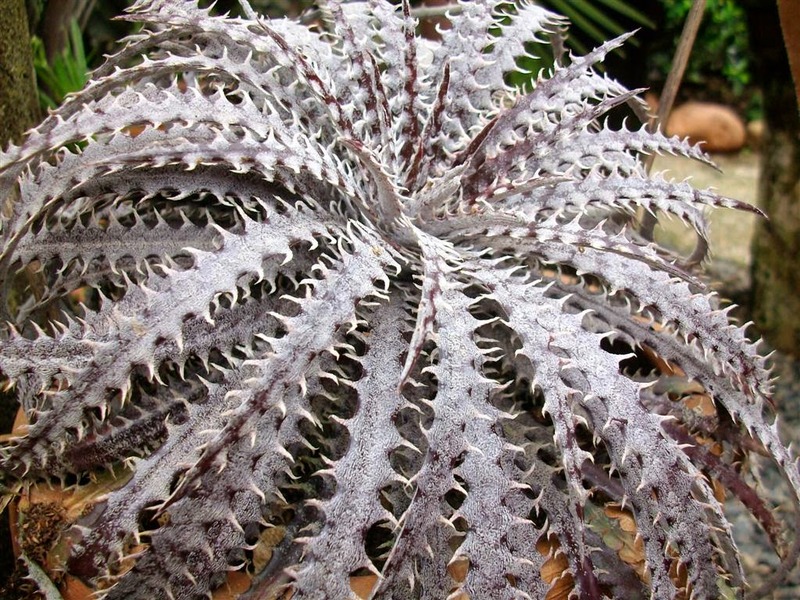 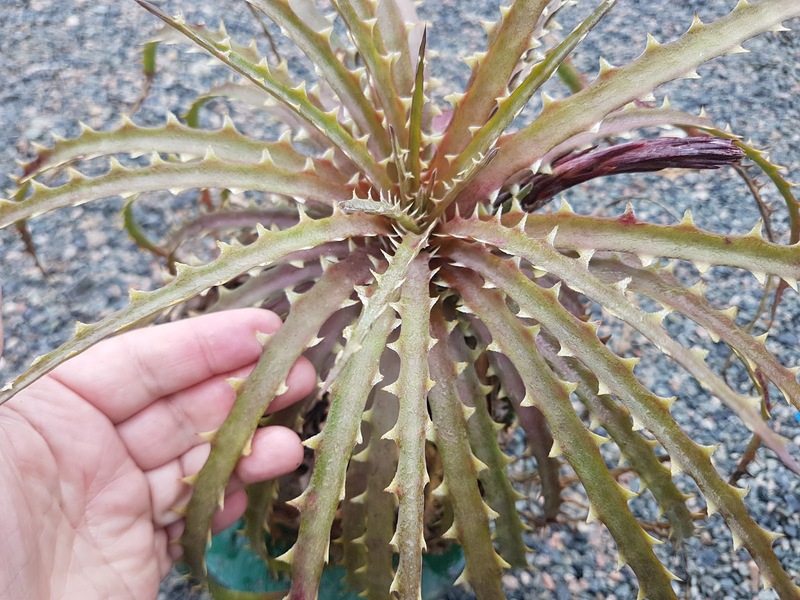 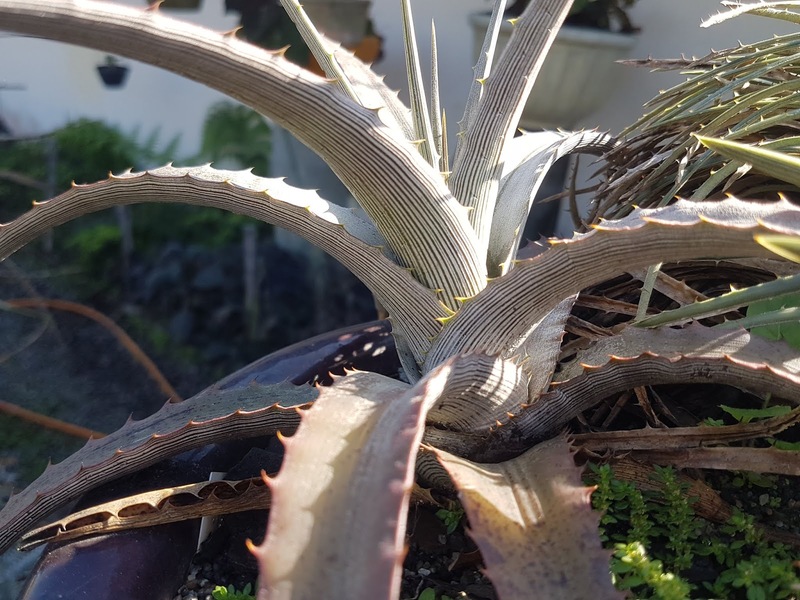 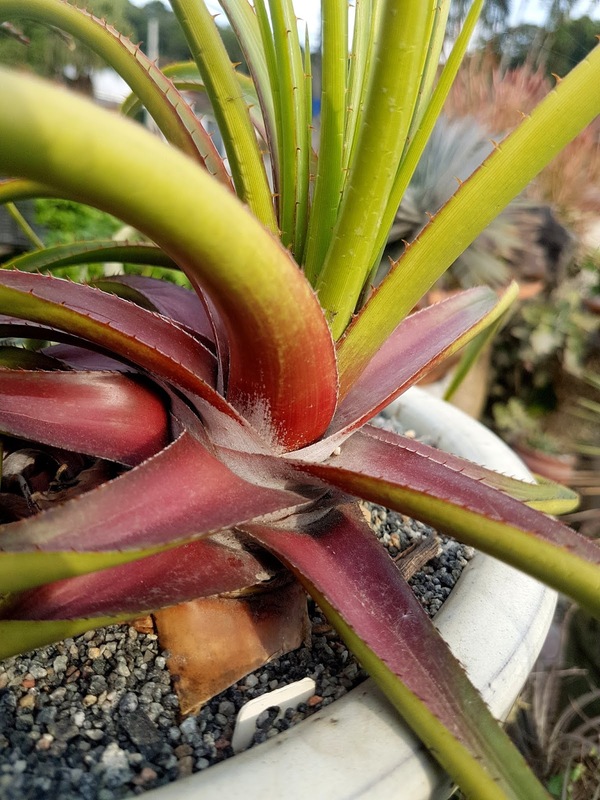 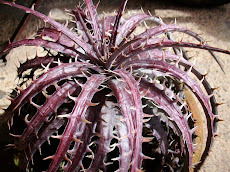 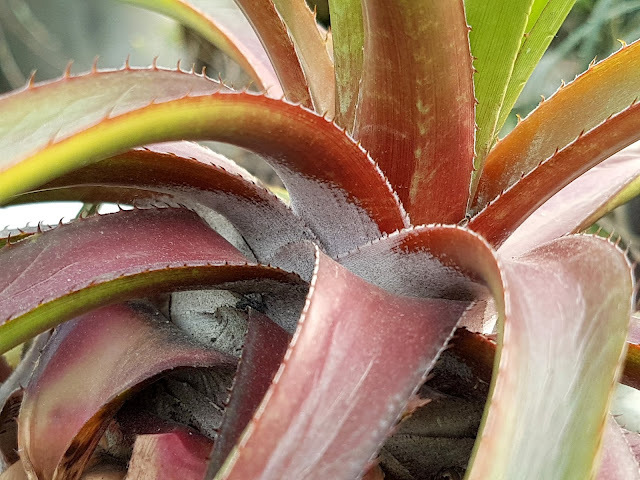 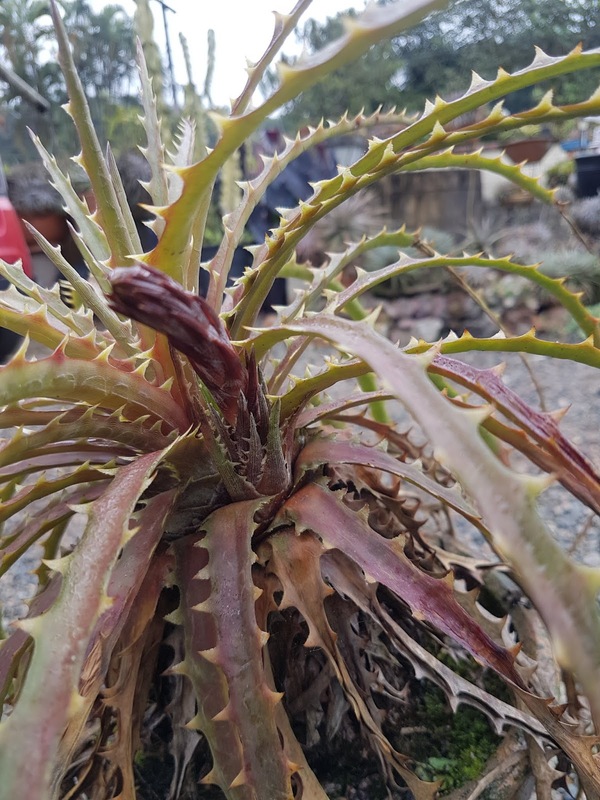 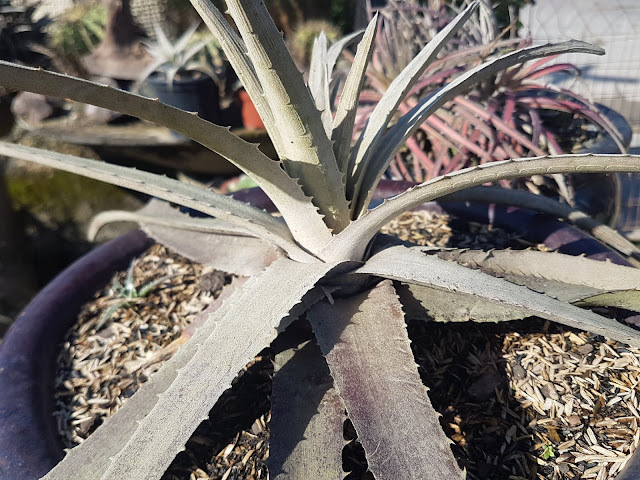 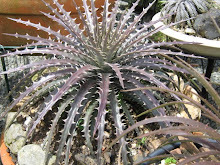 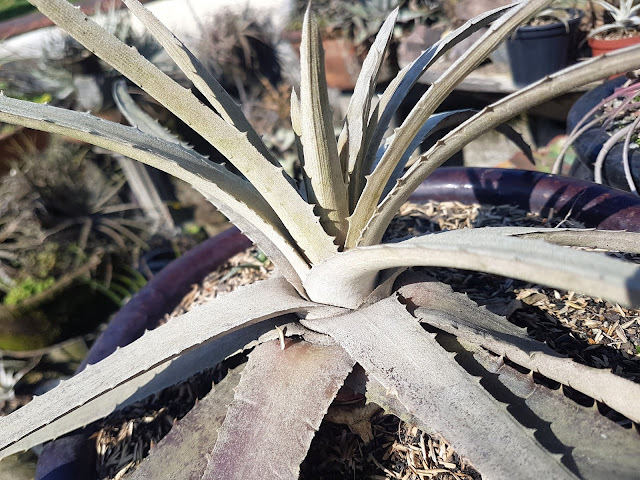 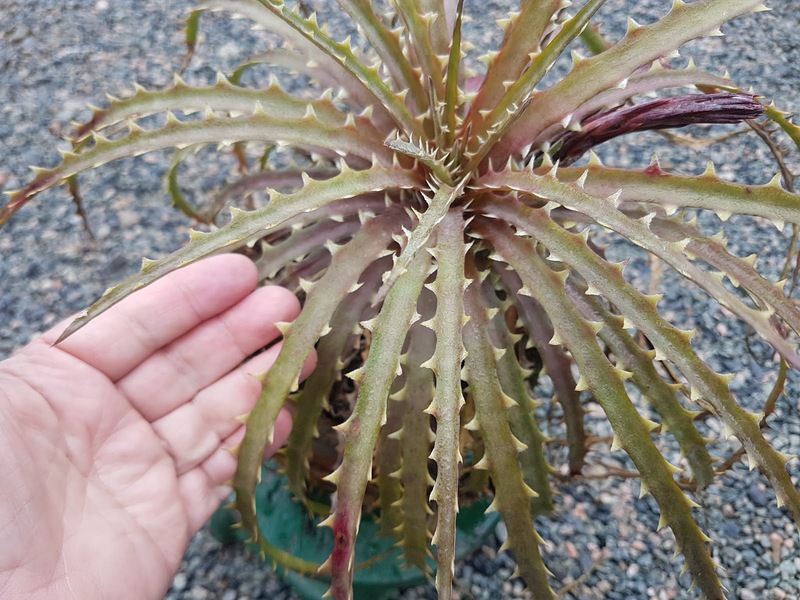 Notice the leaf tips here.They are rare and I know of two Dyckia species that present such points. 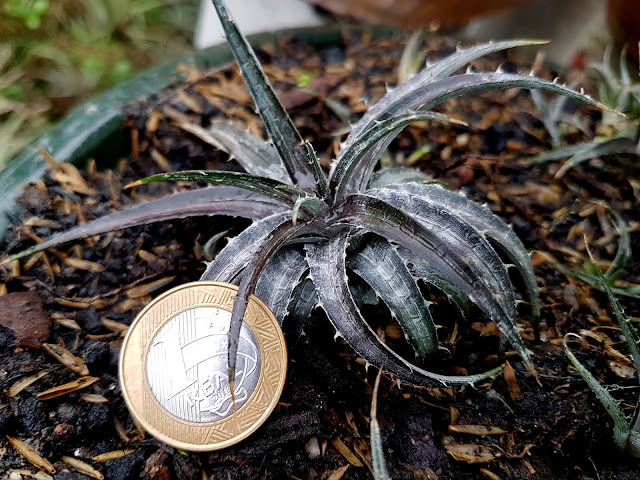 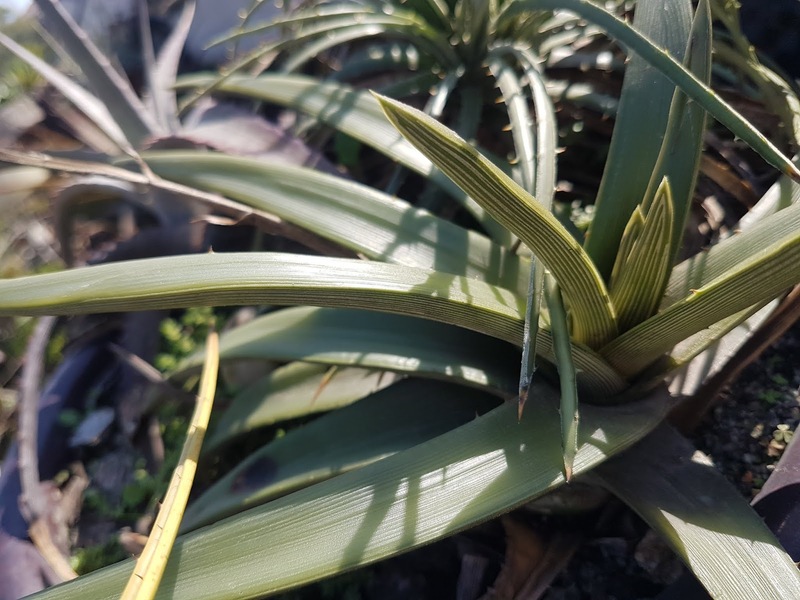 I just posted one, a Dyckia from Lençóis in Bahia (on the prior posting) and one from Goiás. 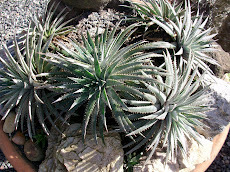 Now see, I did not used any of them, in fact they both never produced flowers here. 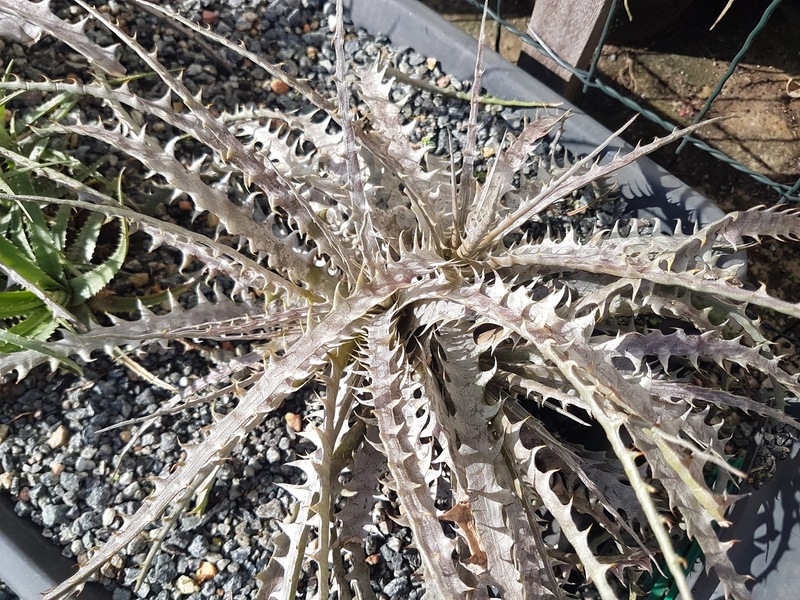 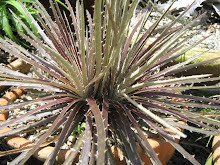 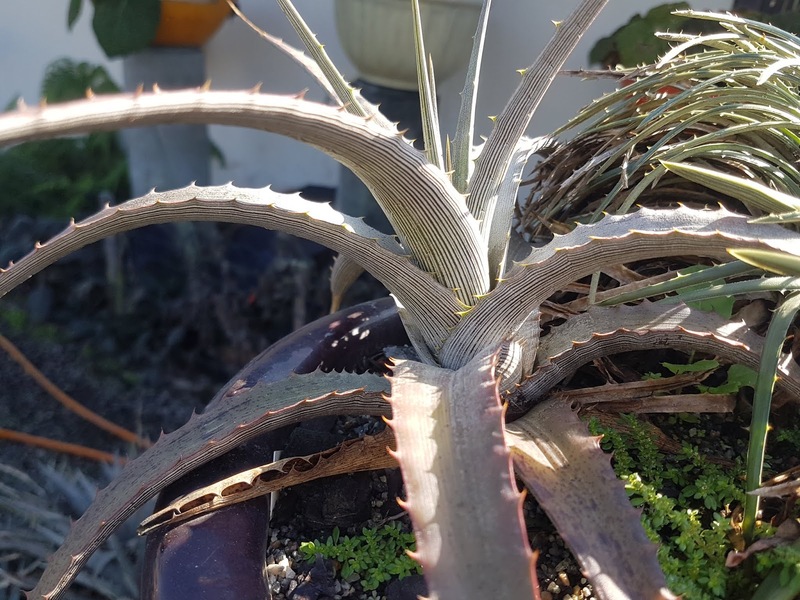 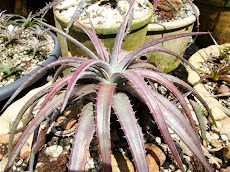 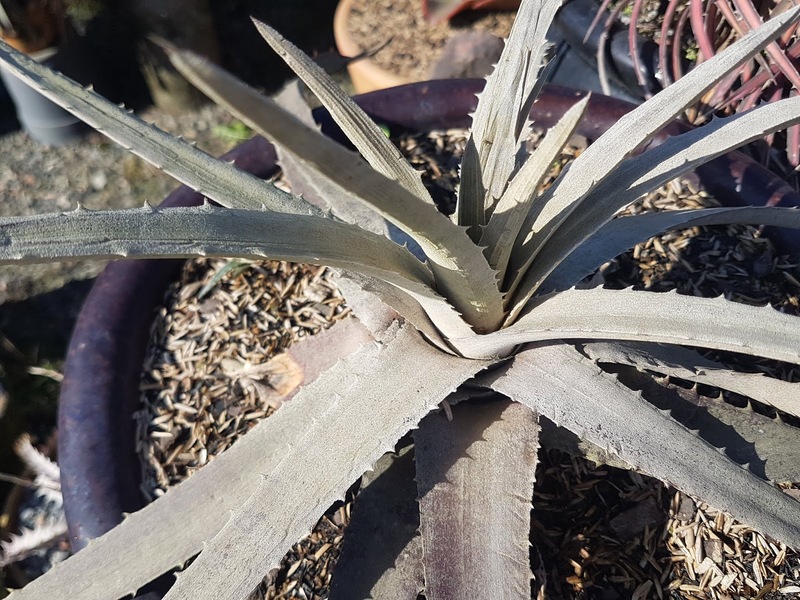 I used a Southern native one species Dyckia reitzii rubra and another one and the result is this. 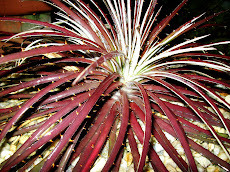 within the Southern genetics is hidden a northern characteristic. 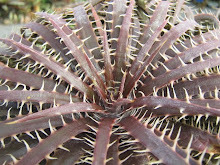 The leaf tips is quite different and the apical thorn is very very hard. 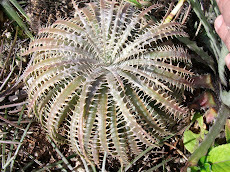 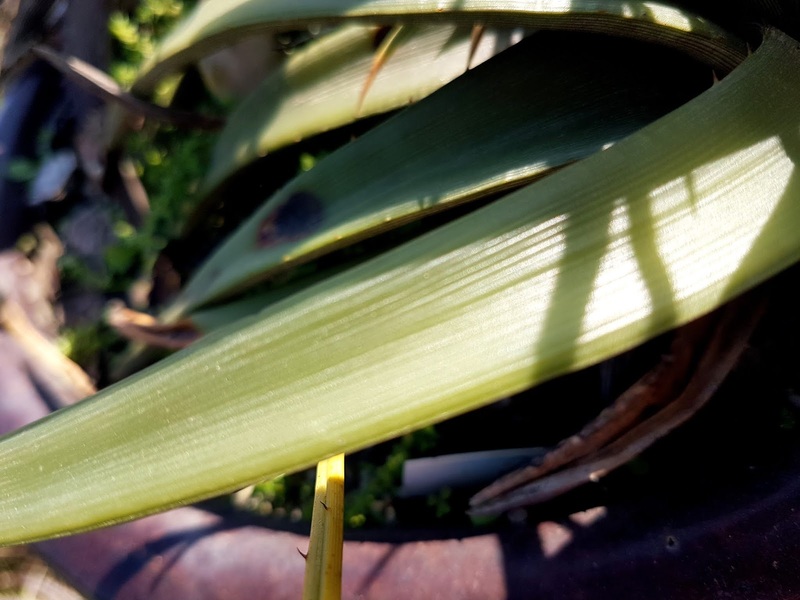 The plant also presents many lines on the underleaf surface. 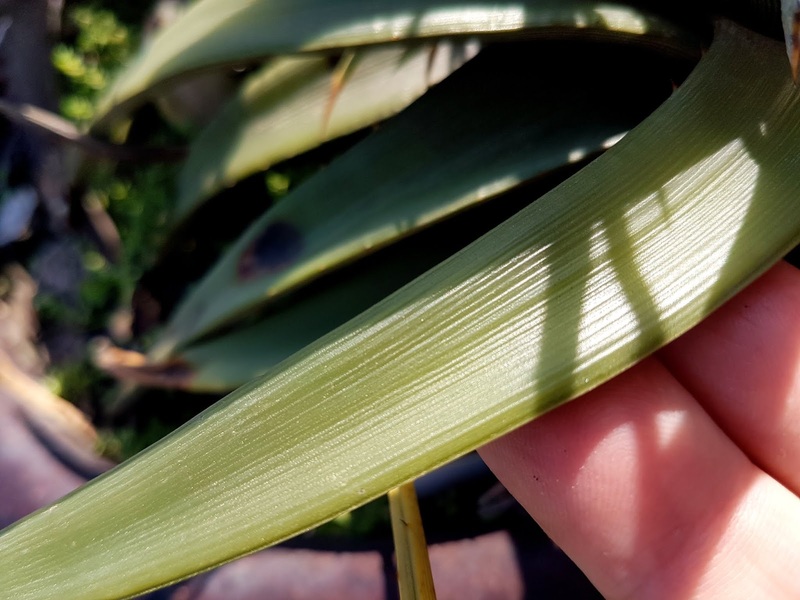 Leaves are so thick and firm they impress me. 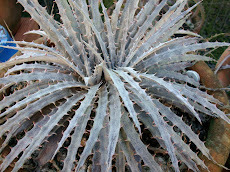 The lines form a wash board sensation on the upper surface of the leaves. 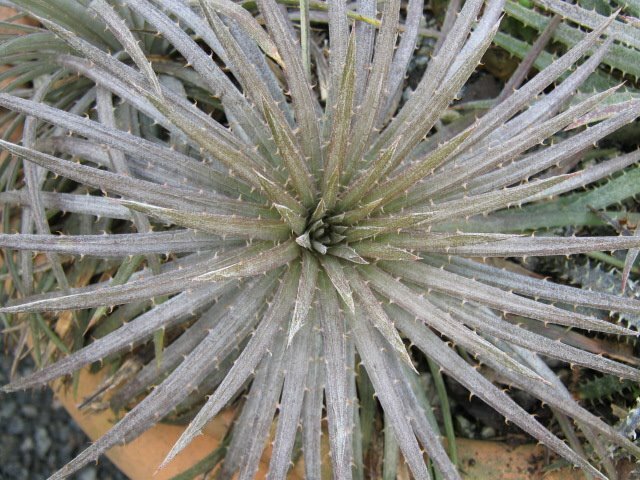 The wonderful Eryngium sp from Minas Gerais.